I was on my way to check out my brother’s metal band, Mouth Full of War (haha, see what I did there?) and had some time time for dinner beforehand. Since his show was out in Anaheim, I wondered if there was any ramen out there. 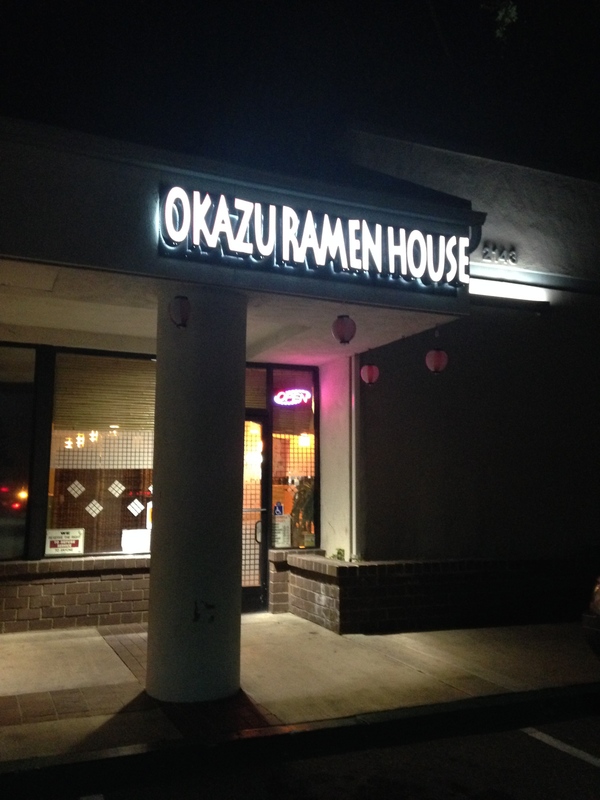 I have not done much ramen running around the OC and Okazu Ramen House popped up on my map. The star ratings didn’t look promising, but I’m always willing to give a place a try! I went by myself and was seated right away. The restaurant had a good amount of customers come in after I was seated so I had high hopes that this place had good stuff. I’m not a Twilight fan, but the server I had looked a lot like Kristen Stewart. She behaved like her too, no emotion whatsoever. I ordered the Tonkotsu Shoyu ramen. I can’t say I was impressed with this ramen. 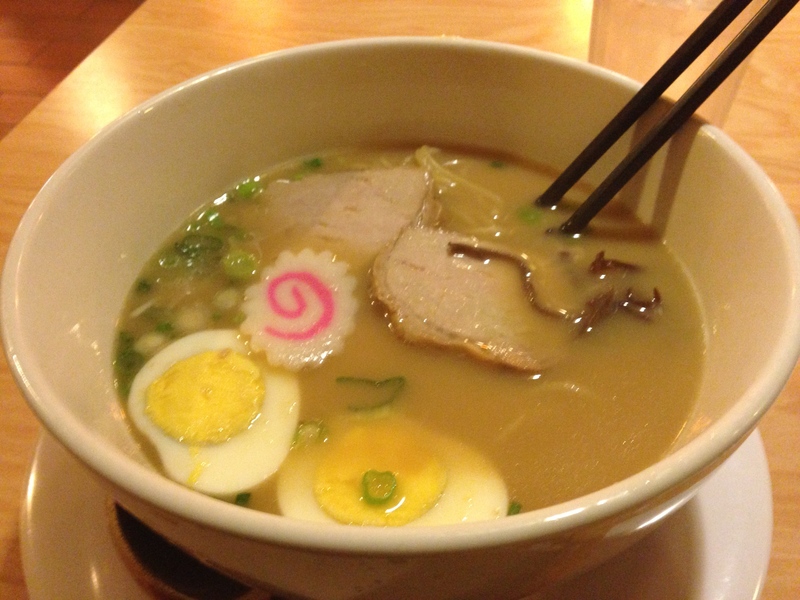 The broth was a bit too salty, the chashu was dry and lacked flavor, and the egg was over cooked. I couldn’t really tell that there was shoyu in the broth base but the noodles were okay. Overall, I didn’t think the ramen was that great. Even my photo below didn’t look that great. The ramen just had no soul… like K-Stew. I honestly don’t find myself coming back here. The servers were nice and very attentive, so I’ll give them that. But the ramen itself reminded me too much of the ramen I wrote about in Little Tokyo that I wouldn’t try again, I can’t even remember the name of the place. Okazu was slightly better but not enough for me to want to try again. Sorry. 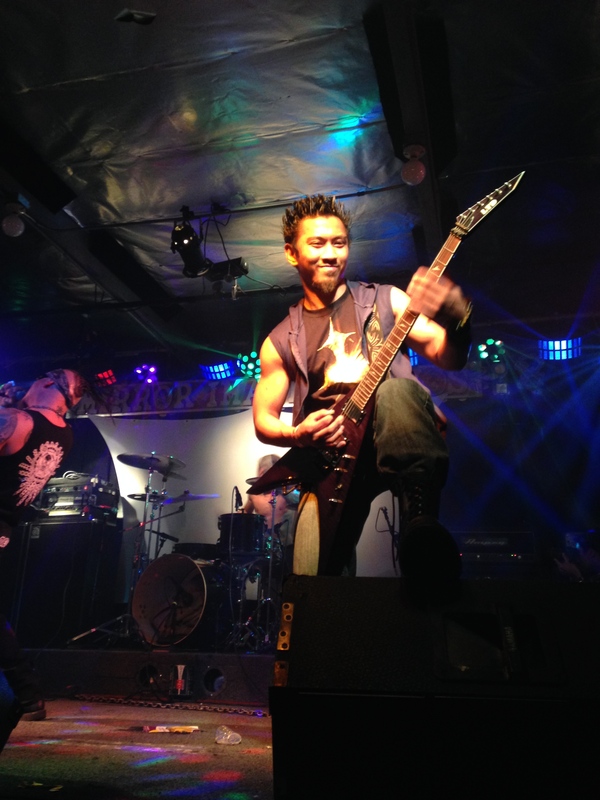 My little bro, Angelo, rockin the stage! During the show, my stomach was not feeling good. Must have been the ramen. Despite that, I had a great time that night, watching my brother in action. I’ve never seen him on stage before and it was really cool seeing him get into the music, head banging, bouncing around on stage. Made up for that bad ramen! 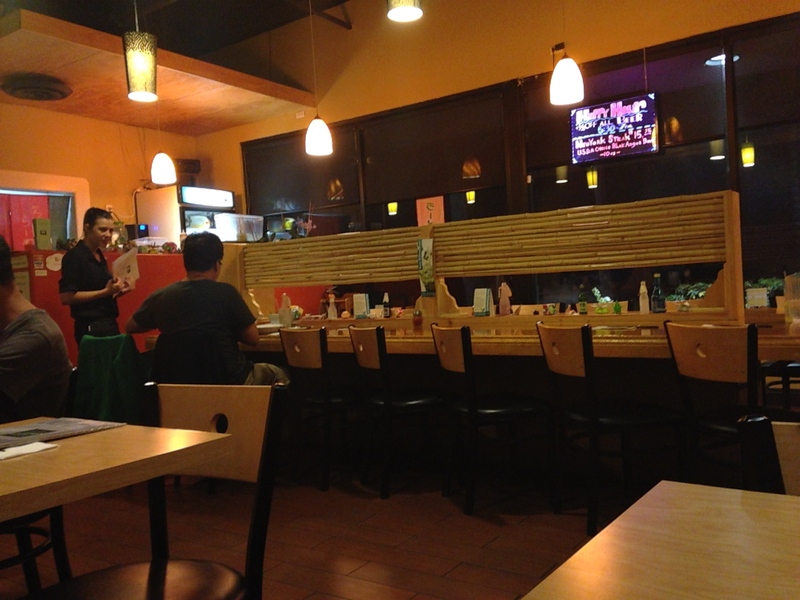 This entry was posted in Food, Music, Ramen, Ramen Run, Restaurant Review. Bookmark the permalink.